Hang in there, hombres! David Lozeau's one-of-a-kind Day of the Dead-ish artwork covers this amazing David Lozeau Final Encore 11 oz. 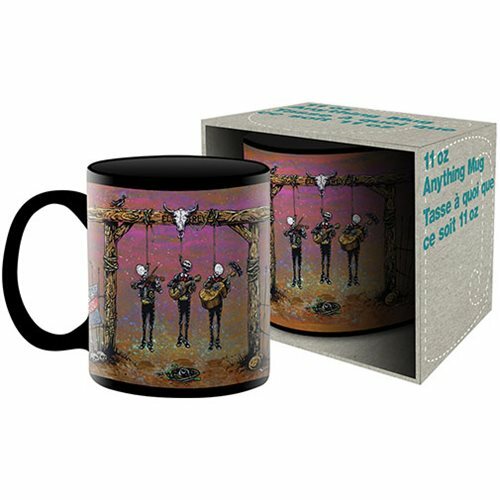 Mug, where three mariachis play their final gig. Perhaps, someone didn't care for their music? Dishwasher and microwave safe, the mug comes packaged in a display box. Ages 13 and up.